Javier Solana, the High Representative for the European Common, Foreign and Security Policy, has warned that relations between the Israel and the European Union could become hostile if the next government does not commit itself to the establishment of a Palestinian state. Negotiations on the formation of a coalition government are still taking place, with contention remaining over how to proceed with the peace process. Foreign Minister Tzipi Livni has so far objected to Kadima joining a Likud-led government, refusing to sit with hard-line parties which she claims have a lack of vision when it comes to peace in the Middle East. Binyamin Netanyahu has chosen instead to concentrate on improving the Arab economy in the territories, rather than repeating the failures of the Gaza disengagement in Judea and east Jerusalem. But now Javier Solana has interjected by issuing a veiled threat, warning that EU relations with Israel will sour if the government doesn't come out in support of the 'two-state solution'. Quote: ""Let me say very clearly that the way the European Union will relate to an (Israeli) government that is not committed to a two-state solution will be very, very different," said Javier Solana, the EU's foreign and security affairs chief. I am utterly disgusted that an EU leader would have the gall to make such a statement, after all Israel has had to put up with over the past sixty years. That a sovereign state should be forced to give up any of its land to people seeking nothing less than its complete destruction. Unfortunately for the Israeli government, there is little they can do about it. The United Nations have already passed a resolution determining that the present Middle East peace process is irreversible, and that it will result in the establishment of a Palestinian state. That statement was repeated by the Quartet (EU, US, UN and Russia). So when Solana threatens Israel for not supporting a two-state solution, he has the backing of the entire world behind him. 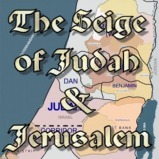 The Bible indicates that this present peace process is set to continue throughout the tribulation period. 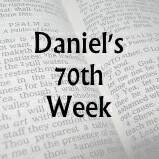 It seems that a peace agreement will be signed which will guarantee Israel peace and security (Daniel 9:27), but somehow without the issue of the land having been fully settled. The Jewish people will be permitted to rebuild the Temple (Revelation 11:2). But in the middle of the seven year period, the Antichrist - a leader of the revived Roman Empire (Daniel 9:26), will turn against the Jewish people (Revelation 12:17). Israel's enemies will be in siege against Judea and Jerusalem (Zechariah 11:2, 14:2), and it seems the Antichrist will grant them authority to take control of the east of the city (Revelation 12:2). He will defile the Temple and proclaim himself to be God (2nd Thessalonians 2:4). Man's final attempt at bringing peace to the Middle East will result in the greatest period of persecution Israel has ever witnessed (Jeremiah 30:7). It will also result in one of the bloodiest wars this world has ever seen, with one third of the world's population being wiped out (Revelation 9:15). If that was the end of the story, there wouldn't be much hope for any of us. Praise God Jesus Christ is coming back. The Beast will be taken and cast into the Lake of Fire, and his armies will be wiped out in an instant with one word from the Lord (Revelation 19:19-21). Many of this world's leaders will be thrown in jail (Isaiah 24:21-23), should I add, where they belong. And a King shall reign in righteousness and princes shall rule in justice (Isaiah 32:1). Of the increase of His government and of peace, there shall be no end (Isaiah 9:6-7). But unless you have had your sins forgiven, you can never be a citizen of this kingdom (John 3:3). God loves you so much, He sent His Son Jesus Christ to bear the punishment for your sins, so that you could be forgiven (John 3:16). He suffered, bled and died upon the cross so that all who put trust in Him for salvation can have everlasting life. And God has given them the authority to be called the sons of God (John 1:12). 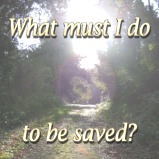 Why don't you turn away from your sins, and trust in the Lord Jesus Christ for salvation. Believe on the Lord Jesus Christ and you shall be saved (Acts 16:31).